The Directors and staff here at Triumph Glasgow are working together with TOMCC Glasgow to build a long term relationship as a Triumph Glasgow family. In 2014 Rodger, Rees & Robins Motor Group found an opportunity which could not be missed. They saw the lack of support for Triumph owners in Glasgow and the West Coast therefore, with their fifteen years experience in the motorcycle industry in Scotland and a passion for all things motorcycle related, R,R & R Motor Group took on the Triumph Glasgow Dealership for the West of Scotland. After years of planning and construction, we find ourselves today trading from our state-of-the-art, award-winning Showroom at Hillington Park, Glasgow. An ideal location with Glasgow Airport just a short 3 miles away and the start of the infamous Loch Lomond sweeping roads can be reached within a mere 30 minute journey. The workshop facilities we offer include: servicing, fitting, diagnostics, customisation, restoration and repair work, full workshop facilities for any bike with courtesy bikes available as well as a pick up and delivery service. We also have an extensive range of new model bikes on display, with a fleet of demonstrators available for test rides. The upper floor of our new showroom showcases approved used motorcycles and we can also buy your used bikes from you. We stock the full range of technical, casual, ladies and kids clothing as well as official Triumph merchandise. To support Triumph owners we have a dedicated parts and accessories centre with friendly staff on hand to assist. The majority of our friendly staff are seasoned bikers and are highly knowledgeable, focused on customer care and here to assist you in every way. Whether you are out on your bike, spending time with the family or thinking about joining TOMCC Glasgow, pop in to the Triumph Glasgow dealership for a warm welcome, to see our state-of-the-art showroom and relax in our cafe which has a sun facing balcony and helmet and jacket storage.  10% off Triumph selected clothing, parts and accessories. This will be in store only on production of a membership card and not available in conjunction with any other offers. If a new member joins TOMCC Glasgow who has joined through our recommendation and with proof of membership, we will reimburse the member for the cost of the first year membership. This will be a credit on the members Triumph Glasgow account to the value of £20. Members of TOMCC Glasgow will have the opportunity to take part in our ride-outs. This will hopefully provide members with more options for runs where we can take care of the planning! We will give TOMCC Glasgow members invitations to our events, subject to availability, so that the club can take full advantage and benefit from being involved with the Triumph brand and feel welcomed into our Triumph Glasgow family. We will also notify members of any offers, deals, events etc through dedicated TOMCC Glasgow members only emails, providing they are happy to supply us with their email address. A dedicated club page on our website, with details of TOMCC Glasgow, where the club meets, how to join and renew membership, a list of bike runs and upcoming events, links to social medias, etc. TOMCC Glasgow is included as part of our handover process. We introduce new Triumph owners to the club by discussing the events, bike runs, communication platforms and memberships during our hand over process. We are provided with flyers, cards, calendar of events and membership forms so we can include these items in our handover packs so we can positively discuss the club and encourage our customers to join. The club has the opportunity to have a stand free of charge at all of our relevant showroom-held events, and for external events we ensure we have TOMCC Glasgow material with us to maximise potential membership. We commit to regular social media postings to send traffic to TOMCC Glasgow. We aim to support, promote, include and engage with TOMCCG as much as we can and in return we ask for support from TOMCCG members also. We are here to support and provide for the Triumph owners of Glasgow. Any queries or questions regarding your bikes, clothing, parts, servicing etc: please just give us a call - we are more than happy to help!